The personal blog of Bangladeshi software developer Kazi Manzur Rashid, which focuses mainly on .NET and Ruby development. 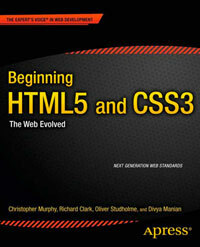 Kazi has ticked all the boxes in creating a good solid HTML5 website. Shortened doctype, meta charset declaration, type attributes gone from script and stylesheet link elements, WAI-ARIA roles and new form input types and attributes such as placeholder. One flaw is the section element that is used as a generic wrapper round most of the content, which would be better as a semantically meaningless div.